Top 5 Most Luxurious Places to live in Accra Right Now. Airport Residential Area is located to the north-east of Accra Central. Neighboured by Dzorwulu and 37 Military Hospital, Airport Residential Area is to the north of Accra Mall, west of Roman Ridge and Kotoka International Airport. Airport Residential Area boast of numerous houses like internal embassies and NGOs.This beautiful and serene neighbourhood has numerous well-maintained streets lined with trees providing nice cool breezes some residents enjoy during their early morning jogging or leisurely walks. There are quite a number of good schools (mostly private) where children of residents may attend. Local public transport service to the area is not very reliable since most residents own a car. However, trotros run along roads close to or bordering Airport Residential Area if you find yourself craving the experience. To the north is the Tema motorway which links Accra to Tema, Ghana’s main deepwater port. Fitness buffs can go jogging on weekends in safety during the day on the many streets crisscrossing this quiet neighbourhood. On the downside, robbers and other sinister individuals like visiting this neighbourhood at night after 10 pm. Caution is advised if you need to be outside on foot at night in this neighbourhood. One of the affluent neighbourhoods in Accra is Cantonments. It was initially set up to be the military quarters under the British colonial government. Cantonments is one of the oldest neighbourhoods with modern planned residential settlements. Homes found in this neighbourhood are plush with very current architecture. Even older facilities in this neighbourhood have been re-designed to give them a modern look. Cantonments like Osu, East Legon and Spintex are one of the most expensive places to live in Accra. Residential facilities cost between 600,000 – 950,000 GH cedis. The Police Hospital in Cantonments established in 1976 for the use of police personnel in most countries but cater for other members of the public in Ghana. The police hospital has been refurbished in recent times to take care of as many people as possible. Akai House is a privately owned hospital in Cantonments located right opposite the US Embassy. It offers general medical and dental healthcare to people living in the area and it is staffed by general practitioners. There are a number of educational institutions in Cantonments. One of them is the New Horizon School. Established in 1972, New Horizon Special School provides vocational training for children with intellectual disability and was founded b y Salome Francois. Residential Area and Oxford street. The residential area is located at the outskirts of Oxford street. 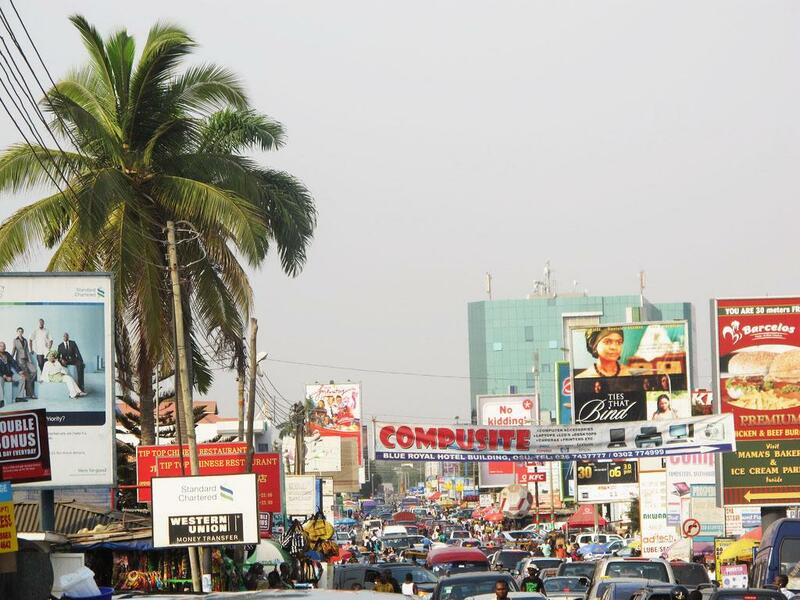 Oxford Street is one of the Accra’s main recreational districts with shopping amenities, pubs and clubs. This neighbourhood is home to Ghana’s Osu Castle (formerly Christiansborg Castle), which served as the nation’s seat of government in the 19th, and 20th century even till today in addition to the Jubilee House. The castle can be seen on the fifty Ghana Cedi bill further embossing the rich history it has in the country. When Accra’s bubbliest areas are mentioned, Osu is always amongst the top three. This is due to the popularity of Oxford Street, also known as “the street that never sleeps”. The street has almost everything that makes up a business friendly as well as a recreational neighbourhood. The street begins from the Danquah-Circle to the Osu traffic light. Just at the entrance of Oxford Street is the Koala Shopping Centre, one of Ghana’s exclusive supermarkets, which can boast of an extensive range of international products. Also, located on the top floor of the Koala building is the recently opened Italian food center Cigusta which serves some of the best: gelatos, crepes, waffles and customized frozen yogurts in town. Further into Osu’s Oxford Street is a wide-ranging pick of vendors offering various Ghanaian and African inspired artifacts for sale; this has contributed to making it a great tourist attraction for many Ghanaian souvenirs. 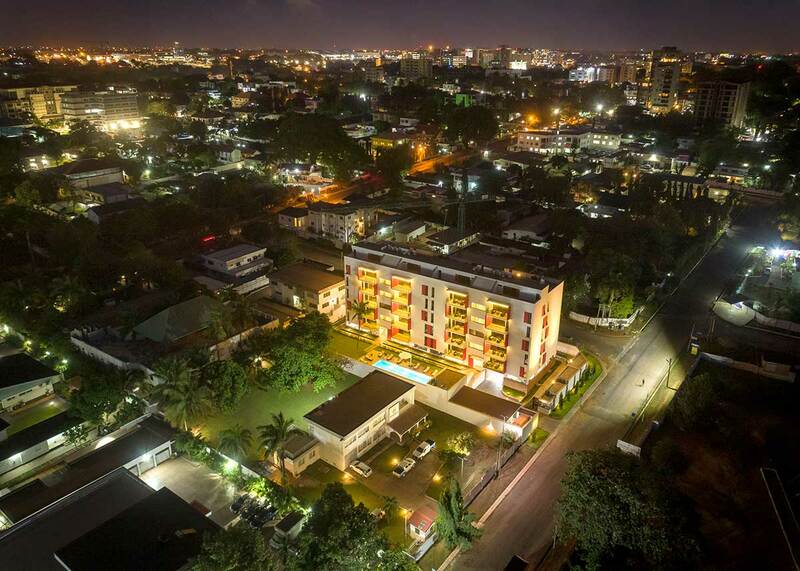 Labone is undoubtedly one of the oldest, plush neighbourhoods in Accra. This area is arguably an extension of the much-frequented Osu but is separated by the main road known as the Ring Road, which divides Labone and Osu. 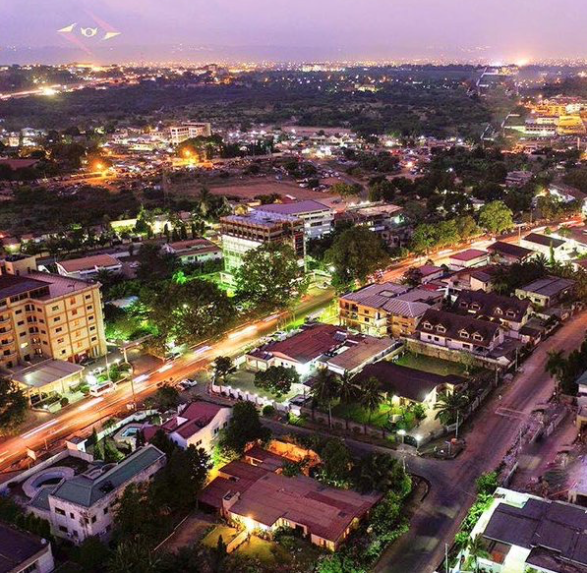 As one of Accra’s prime areas, however, Labone is a combination of a residential and commercial area; unlike Osu, Labone generally remains more of residential than a commercial or tourist area. Labone can be said to have three major entry or access points, which also serve as landmarks and points where people base directions into parts of the neighbourhood. 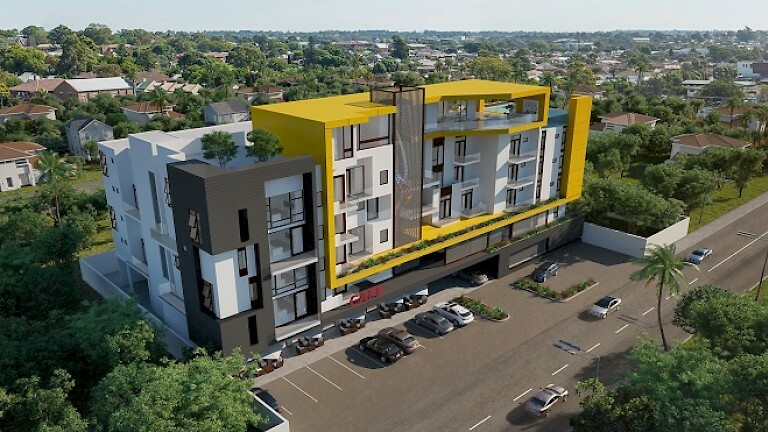 The first entry point into the Labone Neighborhood is an exit from the Ring Road freeway, which starts from the La area and extends to Circle, one of Accra’s central areas. The exit that leads to Labone on this road is popularly known as the Labone Junction, which covers mainly residential areas on the immediate right. Other institutes such as the Osu Children’s’ Home can be found at this part of Labone and also the Labone Senior High School. Further down on this road is an Ecobank Branch and the Labone Coffee Shop, which is one of the oldest and popular hangout and landmark. However, there are other newer eateries which have sprung up over time such as the Bosphorus Turkish Restaurant and Chase Restaurant. East Legon is located to the north-east of Accra Central, and neighboured by Spintex to the south; Madina and Ashaley Botwe to the north; The University of Ghana Campus and Achimota to the west; and Trasacco Estates to the east. The neighbourhood boasts a very vibrant real estate market. 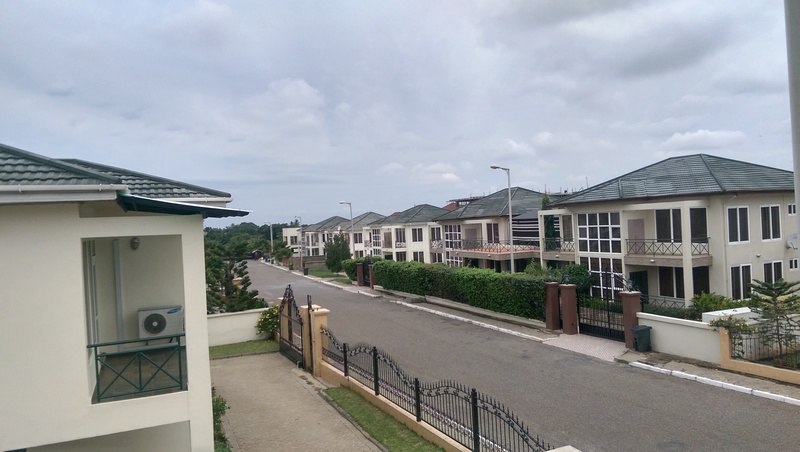 Considered by many professionals in the industry as one of Accra’s prime real estate hotspots, properties in East Legon command high prices and rents, averaging GH₵600.00 per month for a one bedroom self-contained apartment for rent. One of its landmarks is the A&C Square, where the A&C Shopping Mall is surrounded by various other business establishments catering to diverse needs and wants, including restaurants where many gather to unwind after a day’s work, and have small meetings. The A&C Square is a great starting point from which to give directions to places in the neighbourhood since it is one of the easiest places to locate. All over East Legon are business enterprises catering to most needs and commercial real estate for rent available to new business owners. If you’re thinking of finding property in East Legon, you’ll be pleased to know that it’s more than just a great hub for business; it’s a neighbourhood that is mostly self-sustainable with the convenience of services, transportation, and schools within walking distance depending on which part you happen to live: There’s the Lizzy Sports Complex (Marcel Desailly Sports Complex) for everything sport, from keeping fit in the gym to having a leisurely swim or playing a friendly game of football with friends and colleagues; multiple restaurants and food joints specialising in local or exotic cuisine; Shopping marts catering to items for stocking your home fridges and kitchens and general household items; and so many other businesses. New business ventures spring up very often in the East Legon neighbourhood and it’s quite the thrill to stroll around the place discovering the diversity of people and services both well known and the obscure and unknown. Just think of the item or service, and you’re very likely to find it or a business that serves it within East Legon.